Proceeds generated from SUT-US events help support our learning programs. 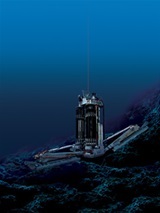 A presentation of the benefits and limitations of robotic seabed drilling technology for offshore geotechnical site investigations, with a focus on Benthic’s Portable Remotely Operated Drill (PROD). 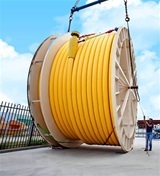 Airborne’s Thermoplastic Composite Pipe is a field proven technology for riser, jumper, and flowline applications offshore. It is fully bonded, lightweight, spoolable, and does not corrode. The end-fittings are simple and can easily be installed “on demand” anywhere in the world. Drilling 101 is mainly for non-drilling support and cross-functional staff to provide an overview and understanding of the drilling process. Equipment and terminology are explained in simple terms. Attendees will receive a basic overview of drilling wells both on land and offshore. Invite your friends and colleagues to mix and mingle for a Pre-OTC Jazz night at Cezanne's Jazz Club. OTC selected the Society for Underwater Technology in the U.S. (SUT-US) the 'Invited Organization' of the 2019 technical program. Join SUT-US technical session on Wednesday May 8th. See you in in SUT-US booth in Houston May 6-9, 2019! 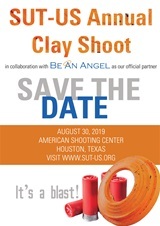 SAVE THE DATE for next year's SUT-US & Be An Angel Clay Shoot Competition scheduled for August 30th, 2019 at the American Shooting Center in Houston, Texas.